Indianapolis, Indiana – Attorneys for Plaintiff, Vandor Corporation, of Richmond, Indiana filed suit in the Southern District of Indiana alleging that Defendant, Matthews International Corp., of Pittsburgh, Pennsylvania infringed its rights on United States Patent No. 9,649,240 (“the ‘240 Patent”) titled “Lightweight Casket Having Foldable Sides,” and United States Patent No. 8,375,535 (the ‘535 patent), titled “Lightweight Casket Having Foldable Features.” Plaintiff is seeking judgment, preliminary and permanent injunctions, damages, prejudgment and post judgment interest, and attorney’s fees. Plaintiff is the owner by assignment of both patents. Both patents describe caskets and cremation containers to be used in cremation and other funeral services. The caskets include sides and edges that fold down. Plaintiff alleges that Defendant sells a product named “Matthews Cremation Fold-Down Rental Insert” that infringes upon claims of both patents. 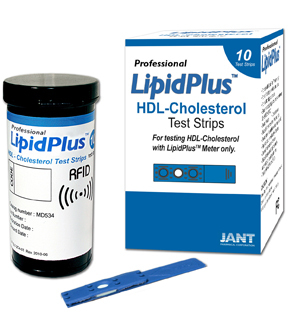 Washington, D.C. – The U.S. International Trade Commission (“USITC”) began an investigation under section 337 of the Tariff Act of 1930 regarding the importation and sale of blood cholesterol test strips that allegedly infringe a U.S. patent. The respondents are Jant Pharmacal Corp. of Encino, California; Infopia America LLC of Titusville, Florida and Infopia Co., Ltd. of the Republic of Korea. In August 2014, Indiana patent attorneys for Plaintiff Polymer Technology Systems (“PTS”) of Indianapolis, Indiana sued respondents in the Southern District of Indiana alleging infringement of U.S. Patent No. 7,087,397, “Method for determining HDL concentration from whole blood or plasma,” which was granted by the United States Patent and Trademark Office. In the lawsuit filed in Indiana federal court, PTS also asserted that Defendants had violated the Lanham Act. In October 2015, PTS filed a complaint with the USITC involving its point-of-care blood cholesterol testing meters, test strips, and systems containing the same naming the same three parties. PTS asks that the USITC issue an exclusion order and a cease and desist order. No decision has yet been made on the merits of the USITC action. The matter will be assigned to an administrative law judge (“ALJ”), who will hold an evidentiary hearing. The ALJ will make an initial determination regarding whether there is a violation of section 337. That decision, in turn, is subject to review by the USITC, which then makes a final determination. WikiLeaks recently released the entire Intellectual property Rights Chapter from the secret negotiated draft text of theTrans-Pacific Partnership (“TPP”) Intellectual Property Rights Chapter. The TPP is the largest-ever economic treaty, encompassing nations representing more than 40 percent of the world’s gross domestic product (“GDP”). The WikiLeaks release of the text came ahead of the decisive TPP Chief Negotiators summit in Salt Lake City, Utah. The chapter published by WikiLeaks is perhaps the most controversial chapter of the TPP due to its wide-ranging effects on medicines, publishers, internet services, civil liberties and biological patents. Significantly, the released text includes the negotiation positions and disagreements between all 12 prospective member states. The TPP is the forerunner to the equally secret US-EU pact, the Transatlantic Trade and Investment Partnership (“TTIP”), for which President Obama initiated US-EU negotiations in January 2013. Together, the TPP and TTIP will cover more than 60 percent of global GDP. Both pacts exclude China. Since the beginning of the TPP negotiations, the process of drafting and negotiating the treaty’s chapters has been shrouded in an unprecedented level of secrecy. Access to drafts of the TPP chapters is shielded from the general public. Members of the U.S. Congress are able to view only selected portions of treaty-related documents in highly restrictive conditions and under strict supervision. It has been previously revealed that only three individuals in each TPP nation have access to the full text of the agreement, while 600 ‘trade advisors’ – often lobbyists for large U.S. corporations – are granted privileged access to crucial sections of the treaty text. Geneva, Switzerland – The World Trade Organization (“WTO”) has granted its permission for the twin-island nation of Antigua and Barbuda (“Antigua”) to disregard intellectual property rights granted by the United States (i.e., patents, copyrights and trademarks). The decision follows nearly ten years of negotiations and litigation pursuant to a 2003 complaint to the WTO by Antigua. Via its attorneys, Antigua alleged that, together, the federal and state restrictions amounted to discrimination against foreign companies and constituted a breach of the United States’ agreement under the WTO’s General Agreement on Trade in Services (“GATS”). Antigua stated that its economy, which had, without the restrictions, included a substantial volume of online gambling services offered to the residents of the U.S., had been significantly damaged. Washington, D.C. – The U.S. International Trade Commission announced that it will revisit a ruling by an administrative law judge finding that Apple had not infringed four of HTC’s patents. In May 2010, patent attorneys for HTC filed a complaint with the ITC alleging that Apple’s IPods, IPhones and IPads infringe upon HTC’s patents. HTC asked the commission to ban all imports of IPods, IPhones and IPads. In July, the ALJ issued a 200+ page ruling finding no patent infringement. Friday’s decision by the ITC will only review one of the four patents that HTC claims has been infringed. Now a panel of six commissioners will look at whether that patent was infringed. Reuters.com described the case as “a proxy for the larger fight for market share between Google Inc’s Android cellphones and tablets, many of which HTC makes, and Apple’s products.” Patent attorneys for Apple have filed a similar complaint with the ITC and in the U.S. District Court of Delaware alleging that HTC’s smart phones infringe Apple’s patents. Practice Tip: As the Reuters.com’s story points out, Apple, Samsung, HTC, Microsoft and Motorola all have current patent infringement litigation pending over smart phone technology. Expect to hear more about patent infringement cases involving smart phones. Indianapolis — This week, an attorney from the United States International Trade Commission (USITC) asked Indiana-based Eli Lilly for clarification regarding Lilly’s allegations of patent infringement over the chemotherapy drug gemcitabine. Eli Lilly owns U.S. Patent Number 5,606,048, which is a process of preparing the gemcitabine. The FDA approved gemcitabine for treatment of breast, lung, ovarian, and pancreatic cancer. Lilly alleges that its process is the only commercially viable process of producing the drug and that several companies, including Illinois-based Hospira Incorporated, are making and selling a generic version of the drug using the patented process. In a letter this week, the USITC has asked Lilly to explain why it believes its patented process is being used. In January, patent attorneys for Eli Lilly filed a complaint with the USITC that alleges patent infringement by unlawful importation and sale of the drug. Lilly seeks an exclusion order from USITC that would ban the importation of the drug into the United States. Lilly alleges that manufactures in China and India use the patented process to make the drug, which Hospira imports and sells in the United States. Patent attorneys for Hospira and Lilly have been litigating over alleged infringement the patent in U.S. and foreign courts for several years. In September, Hospira filed a suit in the United States District Court for Northern Illinois (Case Number 1:2010cv06275) seeking a declaratory judgment stating that Hospira is not infringing Lilly’s patent. According to the Indiana Business Journal, Lilly’s global sales the drug fell 14%, or about $906 million, in the first three quarters of 2010. Practice Note – When an imported product infringes on a patent, the patent holder can seek an exclusion order from the United States International Trade Commission. USITC patent attorneys will investigate whether the imported product violates U.S. patent law. In prior litigation it appears that Eli Lilly had difficulty proving that its patented process is being used rather than another process. Lilly claims it has been unable to do so because Hospira and the foreign manufacturers have not complied with discovery requests. Nonetheless, it appears from this week’s letter that the USITC is concerned about this factual issue. 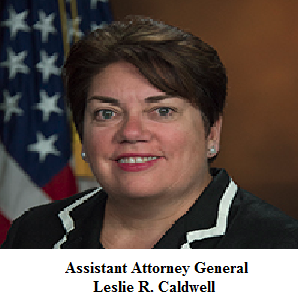 Batesville, IN – Patent attorneys for Batesville-based Hillenbrand Inc., and its subsidiary Batesville Casket Company, the largest U.S. maker of coffins, have won an order to ban imports of knockoff caskets from Mexico in a patent infringement decision. The U.S. International Trade Commission (USITC) in Washington said Monday that Ataudes Aguilares, a Mexican company, will be barred from importing caskets with patented memorabilia compartments and ornamental corner pieces. Batesville has patented caskets with memorabilia compartments, which is a drawer where family members can put personal mementos, Batesville said in its complaint. The patented ornamental corner pieces allow funeral directors to easily change the pieces quickly and easily. 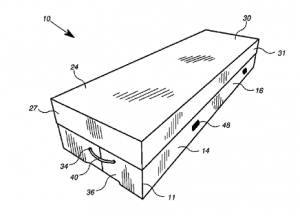 The four patents for the caskets with memorabilia compartments, U.S. Patent Numbers 5,611,124; 5,727,291; 6,836,936; 6,976,294; and, and the parent for the quick change corner attachment, Number 7,340,810, are registered with the US Patent Office. Batesville has also patented the specialty coffins in Canada and Mexico.